33⅓ Revolutions per Monkee is a television special starring the Monkees that aired on NBC on April 14, 1969. Produced by Jack Good (creator of the television series Shindig! ), the musical guests on the show included Jerry Lee Lewis, Fats Domino, Little Richard, the Clara Ward Singers, the Buddy Miles Express, Paul Arnold and the Moon Express, and We Three in musical performances. Although they were billed as musical guests, Julie Driscoll and Brian Auger (alongside their then-backing band The Trinity) found themselves playing a prominent role; in fact, it can be argued that the special focused more on the guest stars (specifically, Auger and Driscoll) than the Monkees themselves. This special is notable as the Monkees’ final performance as a quartet until 1986, as Peter Tork left the group at the end of the special’s production. 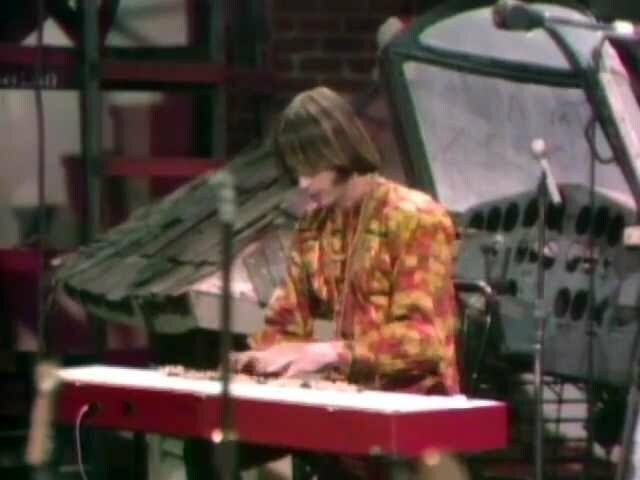 The story follows Brian Auger and his assistant (Driscoll) as they take The Monkees through various stages of evolution until they are ready to brainwash the world via commercial exploitation. Next articlePlaying some Red Hot Chili Peppers song using an actual red hot chili pepper… and a bass guitar!